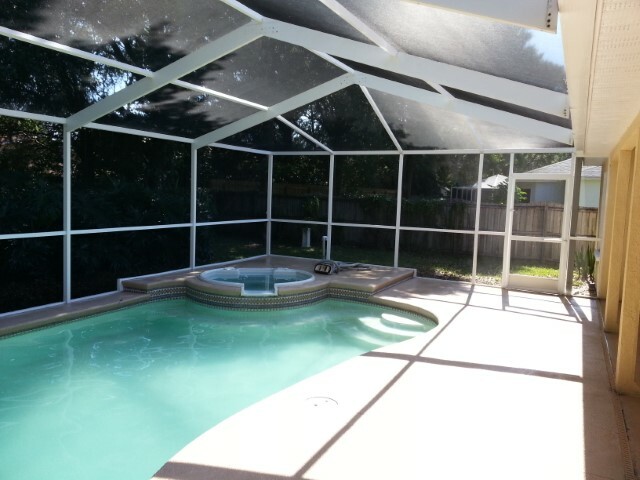 In Palm Harbor, Tarpon Springs, and East Lake, the mild winters mean pools are used year-round. 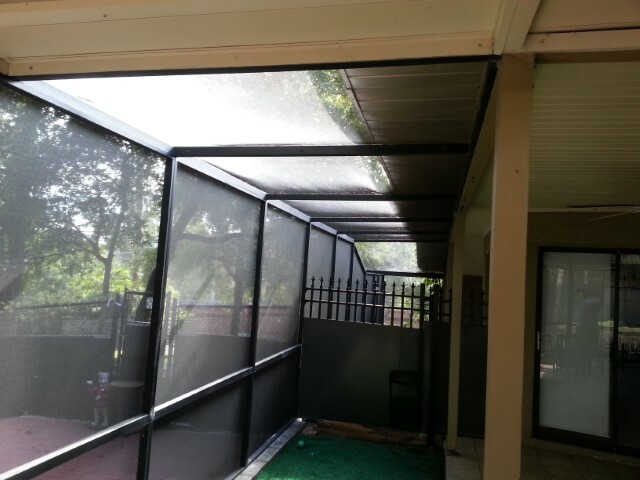 Many homes with swimming spaces rely on screens to keep debris out of the water, but it is essential to get the debris off of the screen as well. Local companies specialize in pressure washing pool enclosures, keeping screens free of algae and mold and in tip-top shape. Homeowners in East Lake, as well as those in Palm Harbor and Tarpon Springs, enjoy patio parties year-round. Most hosts want their space looking as clean and bright as possible for their guests, including the sun room. 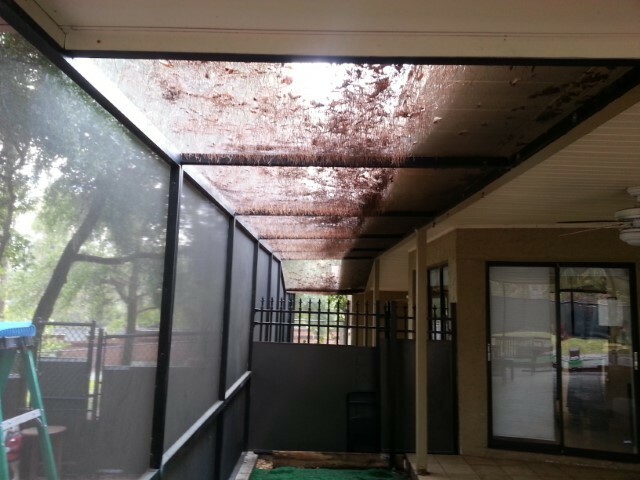 Algae and mold create unsightly dark stains, and tree debris crowds the screen. By pressure washing pool enclosures, these unattractive features are taken care of, leaving a clear and open space for everyone to enjoy. It is not only about looks, though. Branches and other natural debris cause rips and tears to mesh. This requires repairs that are often costly and also leaves your swimming water vulnerable to more sticks, leaves, and pine needles. Keeping the structure clean decreases the possibility of damage. Also, pollen buildup causes problems for allergy sufferers of Palm Harbor, East Lake, and Tarpon Springs. Not only does pollen create a dirty film on these cages, but the high concentration of this allergen triggers a runny nose, watery eyes, and itching, which are all common symptoms during allergy season. A thorough cleansing reduces the amount of pollen, letting everyone enjoy their patio in peace. While outside elements often cause the most problems with patio cages, pressure washing pool enclosures can damage instead of clean. For this reason, many people in Tarpon Springs, East Lake, and Palm Harbor attempt to clean the cage by hand. This works well for lower walls, but roofs are tricky, especially over the water itself. Blowing leaves away is simple from any angle. However, many homeowners do not own ladders tall enough to reach the top of the cage and scrub the mold and algae away. These areas either go without cleaning, or a washer is used. Many power washing tools use an intense force. A high PSI, around 3500, should only be used on concrete. This force tears right through the mesh, creating holes and runs all over the surface. 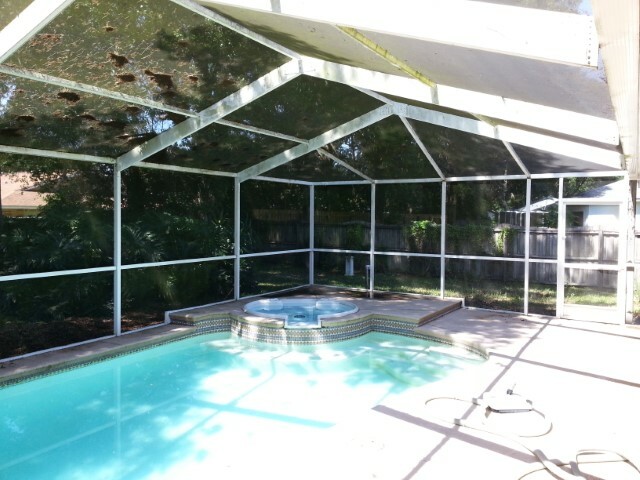 Pressure washing pool enclosures in Palm Harbor, Tarpon Springs, and East Lake works best when handled by experienced individuals. Many people attempting to clean their screen room only use water to spray the surface. While the power of the water takes care of larger debris, like pine needles and leaves, the algae and mold left behind need chemical attention. Professionals use a mixture of chlorine and water to kill the organic growth without upsetting the balance of your pool. Another common mistake is using excessive force. When pressure washing pool enclosures, it is easy to create runs or even blow the screen out with too much force. This mistake leads to costly repairs that are avoidable with the assistance of a company that uses larger nozzles with less pressure. Our methods will not damage screens. One of the worst mistakes a resident of Palm Harbor, East Lake, or Tarpon Springs can make is not hiring a professional to take care of this task. Without understanding the science of pressure washing pool enclosures, such as using the right chemical mix and proper PSI, inexperienced homeowners run the risk of ruining their screened-in area. Along with pressure washing pool enclosures, Accu-Pressure handles commercial cleaning, driveway cleaning, and many more services to restore your home or business’s visual appeal. We are a veteran-owned company founded in 2013 with a mission to restore home exterior surfaces back to like-new conditions. Our focus is on the satisfaction of our customers in Tarpon Springs, Palm Harbor, and East Lake. We are continually striving to create new ways to serve our clients better. To learn more about how we can boost your home’s aesthetics, visit us online or call us at (727) 945-4410.